I was so excited to make this cake. I had never made homemade toffee before and you can always count me in if a bundt cake is happening. 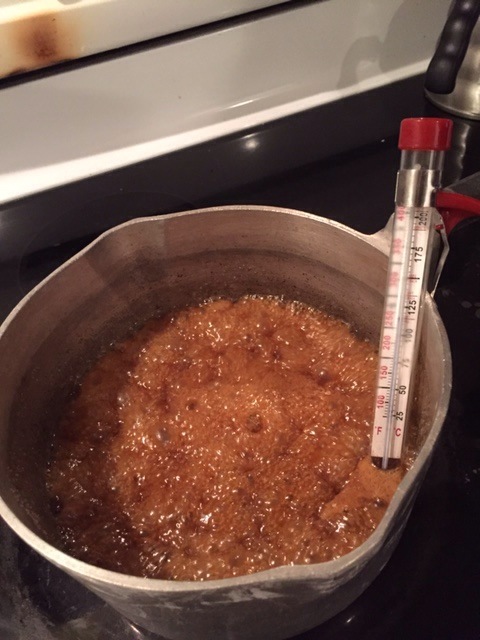 The toffee making started out fine, I had a hard time reading my thermometer and was afraid to let the mixture go too long. 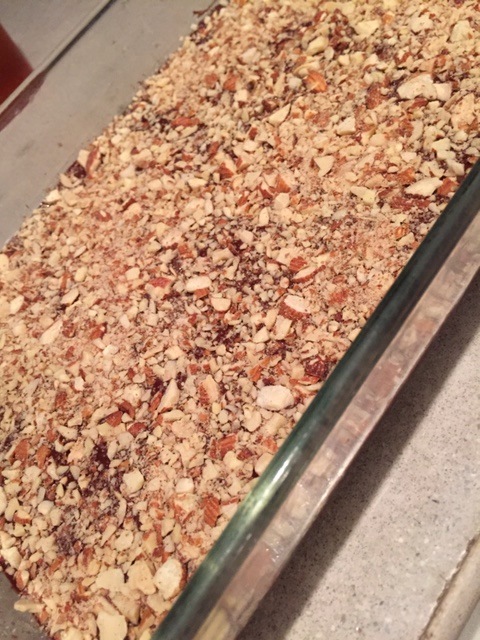 I pulled it, poured it in the pan and added the chocolate and almonds. My husband is making a 7 layer dip for the Super Bowl today and he was not amused that I took the glass pan he had pulled for his dip. I assured him I’d be done and have it washed, ASAP. 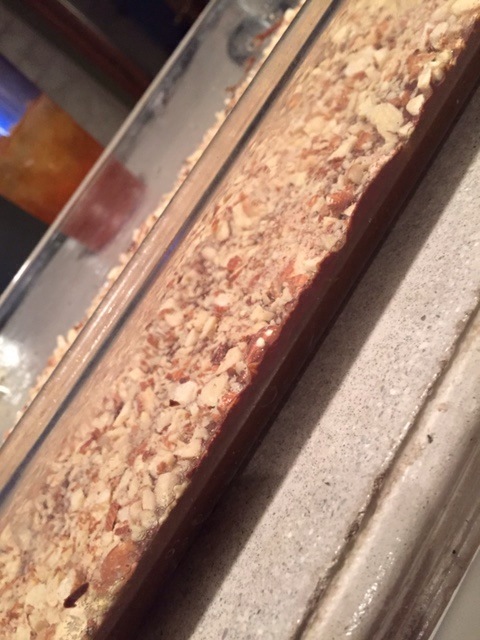 The toffee looked amazing in the pan and I was excited to taste it. I asked for help breaking it out of the pan and that’s when things went south. I didn’t let the toffee cook on the stovetop quite long enough and the texture was more like caramel than toffee. 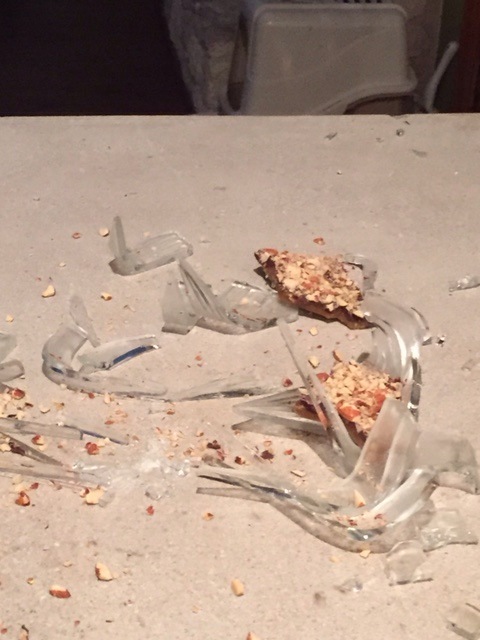 When my sweet man was trying to liberate it from the his pan it shattered. I knew I should have used the metal pan!! The rest of the cake preparation went much more smoothly, and everything seemed fine. The batter tasted super yummy. My only concern was the cake seemed to sink slightly as it cooled. Once I flipped it over it seemed fine. I haven’t tried it yet because we are taking it with us to friends’ house this afternoon, but I’m guessing it’s going to be great! Go see what my fellow bakers thought! Next Up: Cherry Almond Crisp–yum! Oh no…I think we’ve all been there! I once smashed a candy thermometer on my kitchen floor…that wasn’t a fun day either. I think you’ll love this cake though! It sounds like your cake turned out great despite your mishap. I’m sure your friends enjoyed it – I know we did! 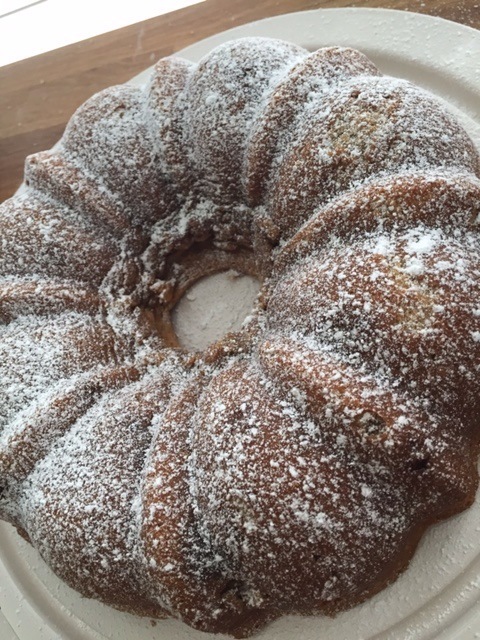 Sorry you lost a pan to the cause — but all’s well that ends well with yummy cake! 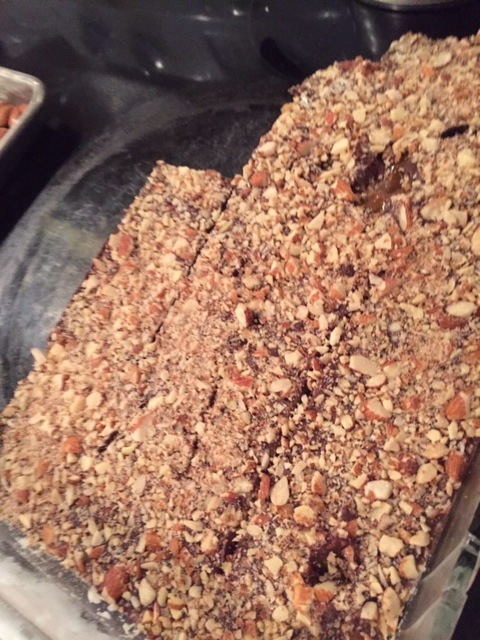 I love the nice big slices of almond on your toffee!